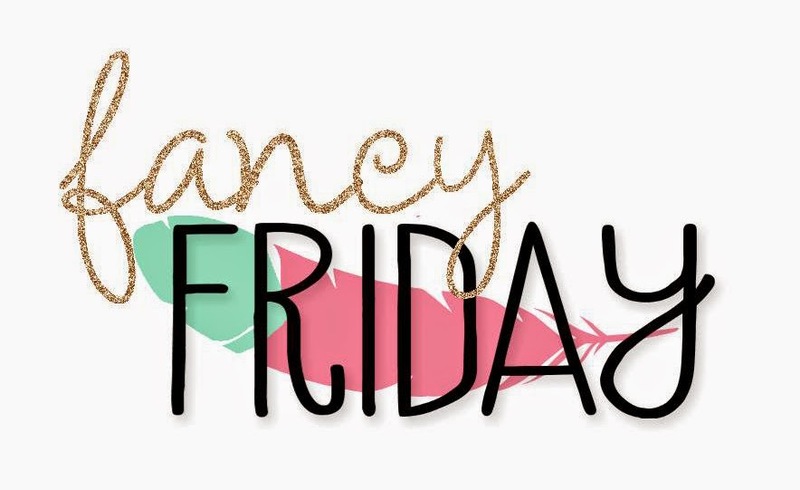 Welcome back to another Fancy Friday blog hop with some great friends that were united in 2013 as part of the Stampin' Up! Artisan Design Team! 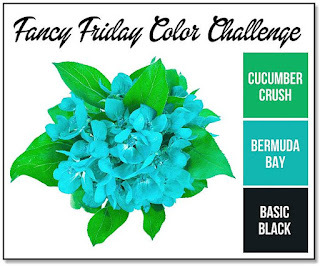 This month's fancy friday blog hop is a colour challenge. We'd love for you to play along. If you do, just link up to any of our comments so we can check it out! You are probably not surprised by now that I didn't take this challenge too literally. 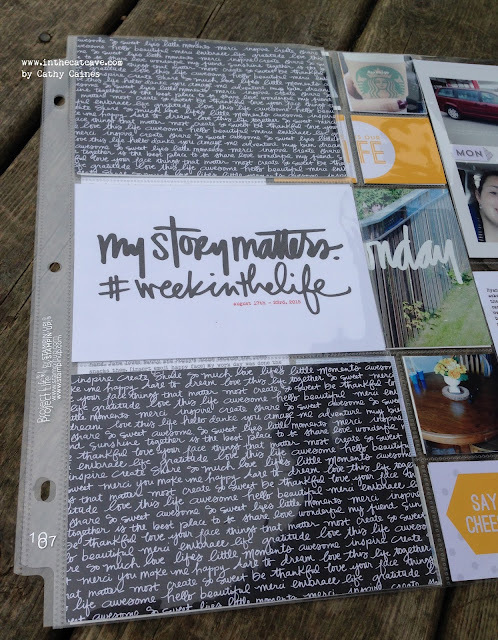 If you were following along last week you can see that I was playing with the Week in the Life project (WITL). So, I've been wanting to incorporate this project into my traditional and current scrapbook album. The Project Life card collection called This is the Life has those colours!! 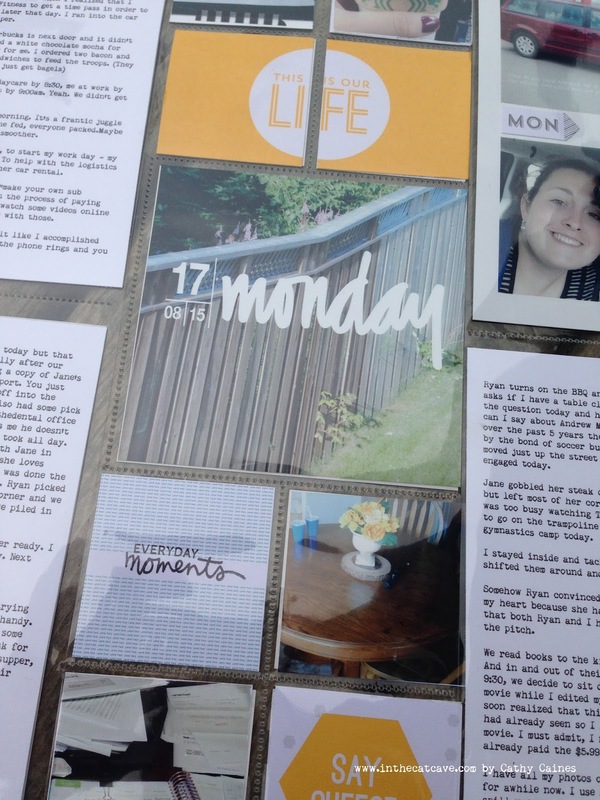 I was delighted and started to build my first page for Monday. You can see my words and photos here. The first page I just used some paper cut up from the neutrals DSP. I also used the WITL graphic and digitally added the dates. On the back side as you can see above, I added some pictures and one of the 4x6 cards, which is Bermuda Bay. 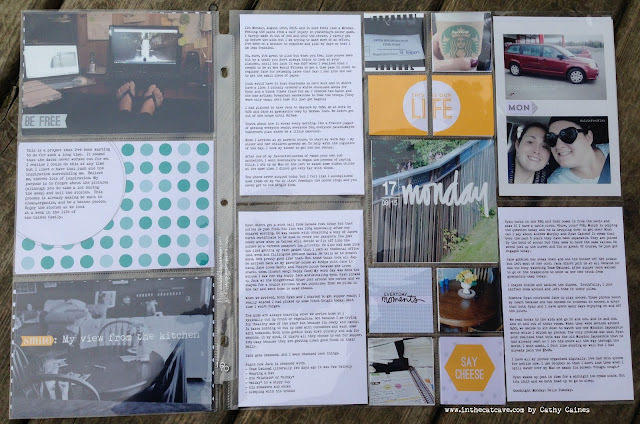 My plan is that for each day of the week, I'll use a page protector front and back. Here's a look at the other side of my Monday WITL layout. You can see the Cucumber Crush coming into play here!! See how I cut up a 4x4 card in the centre at top? Then I took out one 2x2 square and replaced it with a photo? You can see the missing card down below. I feel like it really helps with tying it all together. 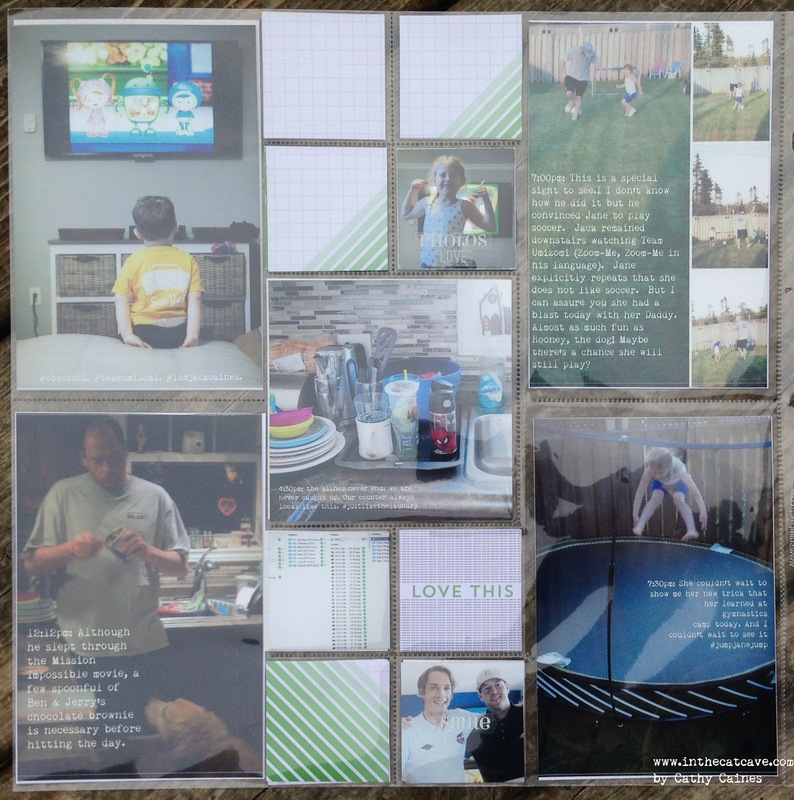 It should be clear by now that you really need the "This is the Life" Project Life card collection and accessory kit!! If you have any questions or need any help with your own memory keeping, please feel free to drop me a line or join my Facebook group at In the Cat Cave. Now you have to go check out Cindy! 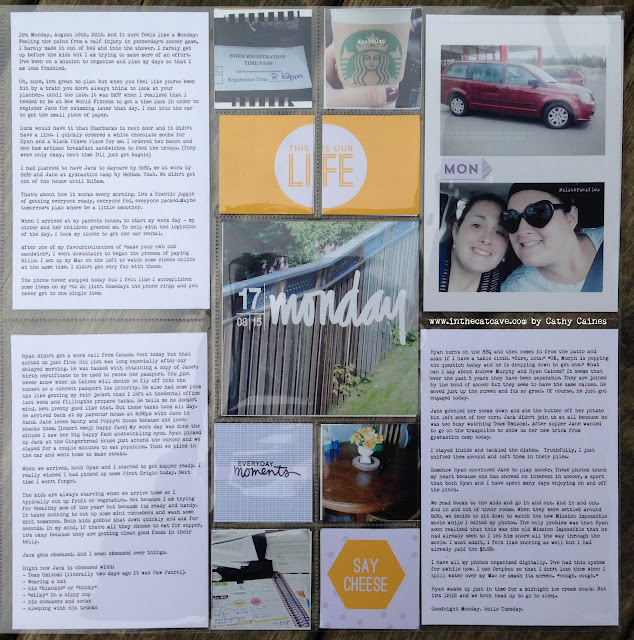 You inspire me to do more Project Life!